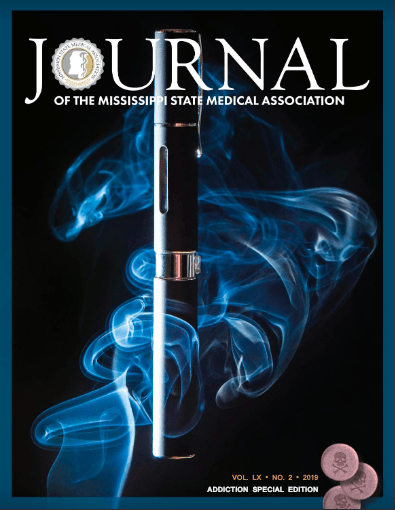 A version of this article originally appeared in the February 2019 edition of the Journal of the Mississippi State Medical Association. Primary-care physicians have a front-line role in recognizing when a patient may have a problem with drugs or alcohol. With some patients, a substance use disorder is easily identified. For example, those who regularly seek out pain-medication prescriptions will trigger an obvious red flag. In other patients, however, the problem may be well-concealed. People with addictions work hard to hide them. Sometimes, it is only when treatment for other medical conditions fails to have the results it should that a physician starts to dig deeper to discern what is going on with the patient. Physicians should be aware that, statistically speaking, one out of every 10 to 12 patients they see is in need of treatment for problems related to drugs or alcohol. Physicians may also observe a correlation between potential substance abuse and medical problems. Meanwhile, abuse of alcohol and illicit drugs can be damaging to cardiovascular health, leading to high blood pressure and heart failure. Even when a substance use problem becomes apparent in the scope of treating primary-care issues, many physicians are hesitant to refer a patient for treatment because of their expectations about what it will mean for the patient. Physicians may anticipate that if they refer a patient for treatment, it will mean the patient must go away for one, two or even three months, separated from their home, work and family. Those high stakes often cause physicians to hold off on intervening until it seems a patient has hit “rock bottom” and knows that he or she needs help. While this approach may have made sense in the past, our understanding of the disease model of addiction today has shifted the treatment model away from an all-or-nothing concept. As with other diseases, addiction can be prevented and treated early. Different levels of treatment are appropriate for different levels of dysfunction. Modern treatment approaches are guided by a Continuum of Care described by the American Society of Addiction Medicine (ASAM). When patients receive an assessment for substance use disorder, the purpose is to identify not only whether or not they have a problem, but also where on the spectrum their problem falls. For some patients, the severity of their addiction and/or co-occurring mental health disorders will call for an intervention at the most intensive level of care. For others, however, a less-intensive level of care will be the appropriate entry point based on their assessment. The Continuum of Care is not designed as a start-to-finish path to recovery. Rather, patients enter the continuum at the level that best fits their needs. Based on their progress in treatment, they can step up to a more intense level of care or down to a less intense level. This model takes into account the realities that each patient’s pattern of progress is unique, that relapse is common, and that successful recovery is a long-term prospect. Here is an overview of how today’s standard levels of care in addiction treatment relate to the ASAM Continuum of Care. For patients with a daily substance abuse problem who experience difficult or dangerous withdrawals, this is where treatment begins. At this most intensive level of care, patients receive 24-hour nursing care and daily physician care. Inpatient medical detox programs fall into this category. Fortunately for patients, however, this level of care is no longer limited to only those withdrawals which may be life-threatening. In the past, medical detox was only available to patients for alcohol, opioids and benzodiazepines. Today, due to increased awareness and parity in substance-abuse treatment coverage, the medical community recognizes that withdrawals from other substances can also be so severe and painful that they warrant medical care and support. While not life-threatening, withdrawals from substances including cocaine, crack, methamphetamines and even marijuana can be so painful that patients have virtually no chance of being able to stop using for more than 24 or 48 hours on their own. This recognition has led to broader access to withdrawal management care for patients, regardless of their substance of abuse. In this level of care, patients are removed from their home environment, removing access to substances. They receive medical support for withdrawal symptoms which can include nausea, vomiting, anxiety and insomnia. While medical detox still manages the dangers of withdrawals for those abusing alcohol, benzos and opioids, providing access to withdrawal management care for those abusing stimulants has led to a significant increase in people with those addictions doing well in treatment. Previously, it was more common to see people abusing those substances continue to use and spiral out of control until some kind of medical or legal consequence forced them to get help. Now we have a chance to bring them in sooner and provide support in an appropriate environment. For most physicians, this is the level of care in addiction treatment that is most familiar and expected. Patients are removed from their home environment, where they would have access to substances and be very vulnerable to relapse. They stay in a supportive environment 24 hours a day for several weeks, receiving six to nine hours a day of treatment services. Those services include individual and group therapy, as well as education about the nature of addiction as a brain disorder. While the basic structure of residential treatment remains unchanged, recent years have seen an evolution toward a more patient-centered approach to treatment. In the past, residential programs were standardized and manualized, relying primarily on 12-step models. Patients were educated in a program of recovery, and told that if they followed it, they would be successful. In the past five to seven years, however, the patient-centered approach has emphasized a focus on the patients’ buy-in. Patients are engaged to discover their own needs, while treatment revolves around the patients’ needs as well as education. 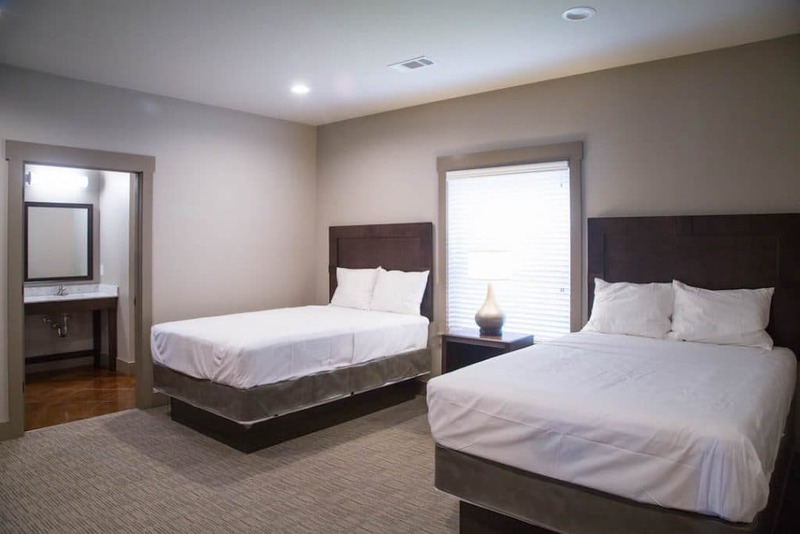 Most residential programs also include a strong family component as well, where patient families come to the treatment center for tailored programming geared toward educating them about the nature of addiction. In this level of care, patients can continue living at home or in a sober-living environment while receiving outpatient treatment. Intensive Outpatient and Partial Hospitalization are distinct programs, each with its own programming and interventions. 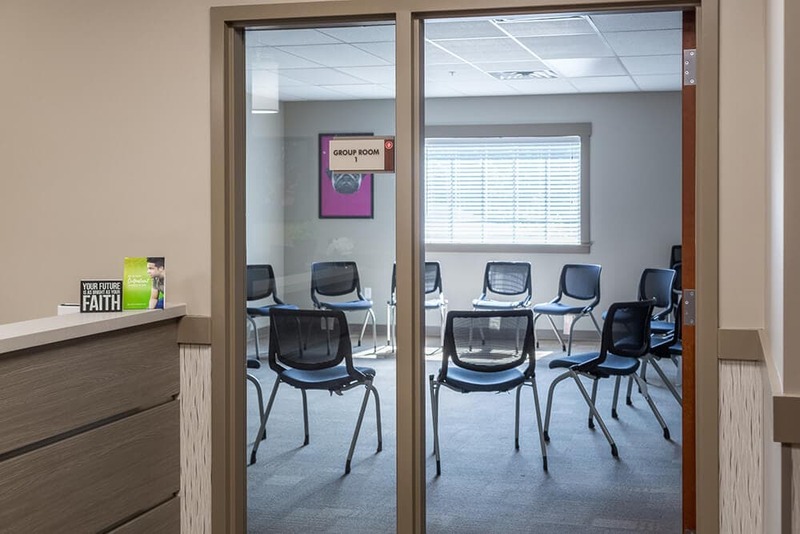 Patients in Partial Hospitalization programs receive 20 or more hours a week of services, while those in Intensive Outpatient programs receive nine or more hours a week. These programs extend the patient-centered approach in education and therapy, including a focus on relapse prevention. Patients can access this level of care in multiple ways. For some, IOP/PHP programs are their entry-point to the Continuum of Care, if their assessment shows their needs are appropriate for a moderate level of intensity in treatment. For those with greater needs, they may enter an IOP/PHP program after completing withdrawal management and residential treatment. Still others may begin at a lower level of care and move up on the continuum into IOP/PHP if they need greater support to avoid relapse. One important aspect of IOP/PHP programs is standard drug screenings. Administered as part of the treatment program, screenings are a low-cost way to provide a high level of accountability and to boost the confidence of those who are progressing well in treatment. Those in outpatient treatment may be required to undergo drug screenings as often as three times a week. In primary-care practices, drug screenings tend to have a bad connotation, due to the turmoil that can ensue for both the physician and the patient when a drug screen comes back positive. In substance-abuse treatment practices, however, drug screenings are as ordinary as blood-pressure tests. They are a standard measure of how well a patient is responding to treatment. When a patient passes them consistently over many weeks, the screenings actually become an encouragement to the patient as a positive, objective proof of success. 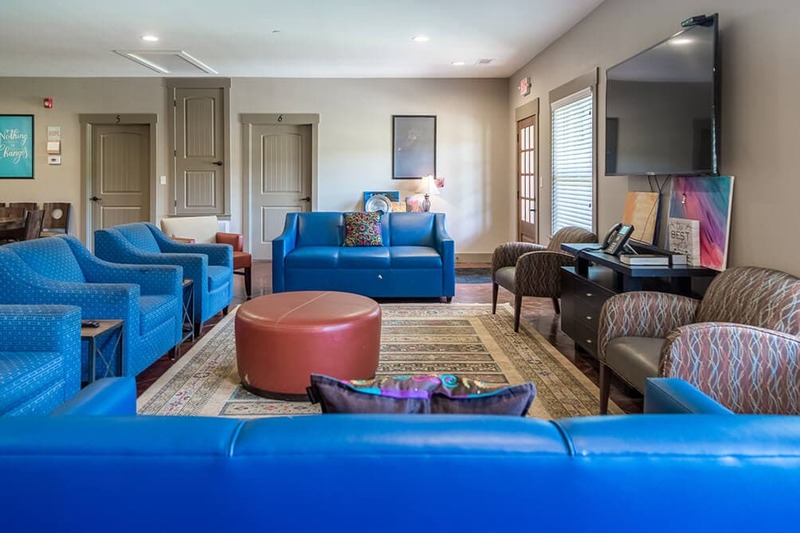 At the IOP/PHP level of care, an additional advantage for patients can be living in a supportive housing environment while they are receiving treatment. Generally speaking, the concept of a community-enforced sober living environment has a poor reputation. But when managed correctly, sober homes have been shown to be effective for people as they work to regain independence and establish new skills for successful long-term sobriety. 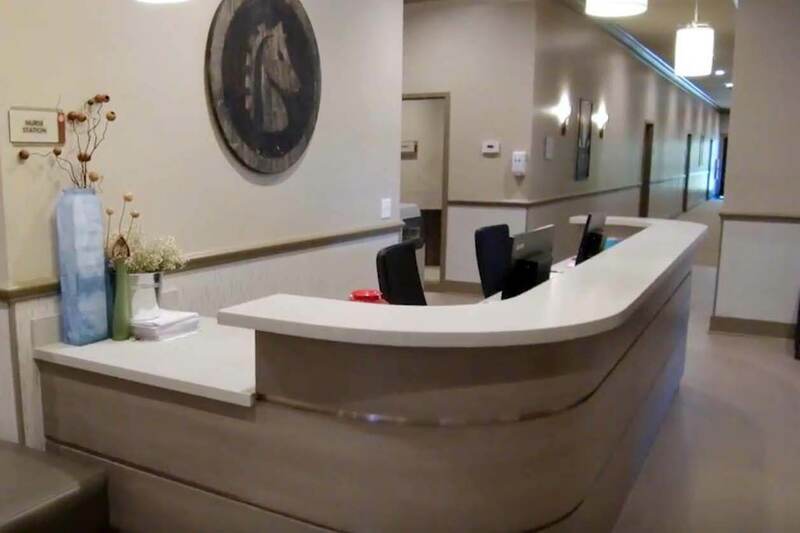 While there are relatively few sober-living operations to choose from in Mississippi, aspects to look for include a requirement for frequent drug screenings, a commitment to providing a very safe environment, and continued outpatient care for residents. In this level of care, patients receive less than nine hours a week of treatment services. Typically, they live on their own or at home. This level of treatment allow people to continue working or going to school alongside their treatment schedule. The ASAM Criteria includes a level of care for those who are at risk of developing substance-related problems. As with any other medical problem, substance-abuse disorders can be prevented from becoming full-blown crises through prevention and early intervention. Physicians need not wait until a patient reaches “rock bottom” to express concern over his or her substance abuse — any more than you would wait for a heart attack to recommend a patient change poor eating habits for the sake of cardiovascular health. 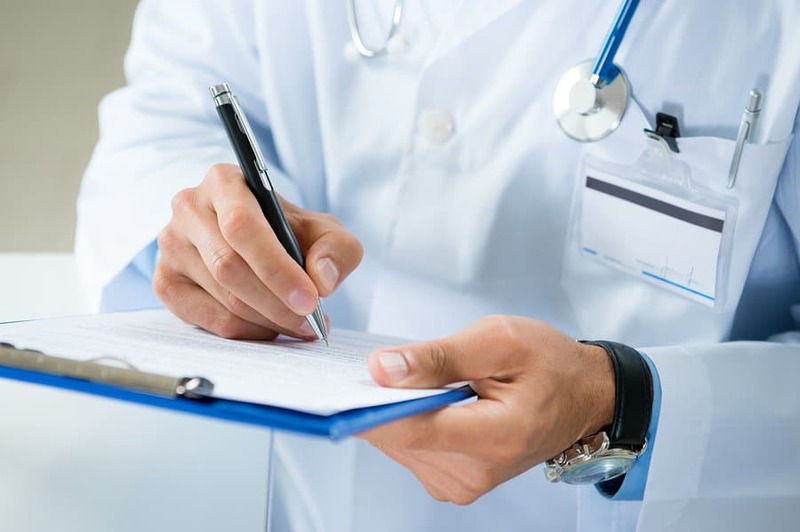 When a patient shows signs of substance-abuse problems, physicians can recommend he or she get an assessment to determine whether there is a problem and, if so, how severe. Physicians and their staffs have more options than they may realize when it comes to referring for an assessment. Any center where people can go for treatment will also perform assessments, as will community mental health centers. One of the simplest things a physician’s office can do is simply to call the patient’s insurance provider and ask for a recommendation on where to send the patient for an assessment. A physician who has identified a potential substance abuse disorder can then bring up his or her concern with the patient, being prepared to make the referral immediately if the patient is willing to consider treatment. While the assessment could point to a need for residential care, it could also indicate that only outpatient care is needed and the interruption to the patient’s life could be minimal. Both physicians and patients need to know that their expectations about what treatment means may be out-of-date. They may expect that treatment always translates into a residential level of care, when actually it may mean only a few hours of treatment per week. Yet if physicians and patients overestimate the intensity of treatment required, they probably also underestimate the typical duration of a treatment course — especially for those patients who do need to begin treatment at a higher level of care. Successfully working through the treatment levels can take as long as 12 to 24 months, even if more than half of that time is spent only in outpatient treatment. Both within and without the medical community, the attention on substance abuse has never been higher. The nature of diagnosis and treatment continues to mature and advance, and to become better integrated into the broader healthcare system. These are welcome changes for the estimated more than 20 million Americans who suffer from substance-abuse disorders, and for all of us involved in their care. Dr. Pannel is Medical Director of Oxford Treatment Center. 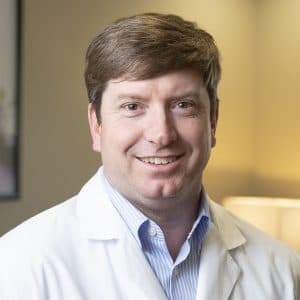 He specializes in treating dual diagnosis issues. He is certified by the American Board of Psychiatry and Neurology and the American Board of Addiction Medicine.